High Efficiency and Energy Saving: We replaced low efficiency components (gears, bushings, transmission belts, sliding guides) with the best planetary / epicyclic gearboxes DIRECTLY COUPLED on the rolls and the hydraulic motors. All the machine strength is focused on the material to bend (positive strength) with consequent Energy saving and machine efficiency.High Efficiency and Energy Saving: We replaced low efficiency components (gears, bushings, transmission belts, sliding guides) with the best planetary / epicyclic gearboxes DIRECTLY COUPLED on the rolls and the hydraulic motors. All the machine strength is focused on the material to bend (positive strength) with consequent Energy saving and machine efficiency. Permanent Lubrication System: Thanks to the using of high quality and high resistance materials, can grant a system of permanent lubrication. By using autolubricated bearings it will be enough only to grease the parts during the assembling. Quantum plate bending machine’s maintenance won’t bea problem, only a periodical refilling of the oil will be necessary. Permanent Lubrication: All machine components are pre-lubricated and sealed following a unique system granting lubrication for the whole machine life. FLAT PART "The Shortest Unbent Flat":With our plate rolling machine, the short flat part will be only 1.8 times the plate thickness. 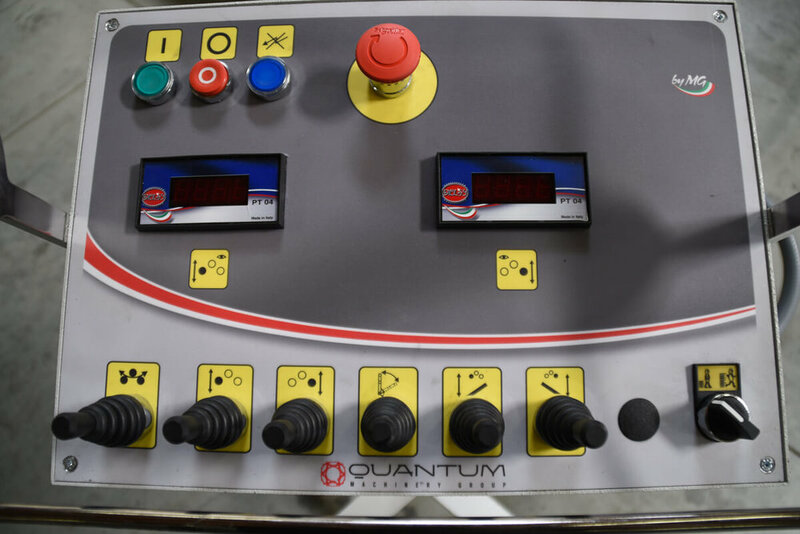 Yield point and material thickness can influence the final results, but with our Quantum Plate Rolls you always get the shortest unbent flat. See our pre-bending factors. Conical Shapes: Our machines have a special support, to roll a conical shape guiding the shorter edge of the plate to rotate. The best solution for bending perfect cones is our 4-roll machine with CNC: its bottom clamping roll can be tilted, to form the cone (funnel) shape wanted. Conical shapes with a conicity over 4 degrees reduce the machine performance: this is due to the unbalanced load on the top roll and its bearings.